Product #640 | SKU BE1204USB | 0.0 (no ratings yet) Thanks for your rating! When you’re ready to take your recording projects to the next level, XT Software’s energyXT is just the trick. This amazing DAW (digital audio workstation) makes it easy to manipulate your audio and MIDI files, turning song ideas into stunning CD or Web-ready recordings. energyXT includes its own multi-FX processor, plus a built-in synthesizer/sampler and a drum machine, both of which can be accessed directly via an external controller (such as our UMA25S) or programmed in step-write mode. To learn more about energyXT2.5 Compact Edition or to download the demo version, go to http://www.behringer.com/EN/Support/energyXT2.5-Compact-BEHRINGER-Edition.aspx . 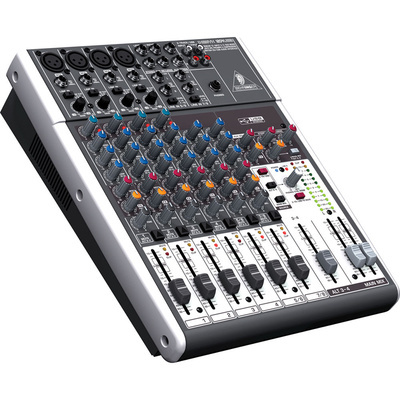 No matter what your audio mixing needs are, BEHRINGER USB Series mixers provide the performance and features that can take your talent to the next level, at a price that is sure to amaze you.